In 1995, after the DOH had identified the Ampalaya as part of its “Sampung Halamang Gamot,” the DOH instructed the doctors who run the country’s public health centers to promote Ampalaya as part of the diet of diabetics. The public health doctors did so and found that Ampalaya significantly helped their diabetic patients. But they also faced a compliance problem as at that time there was still no FDA-registered Ampalaya food supplement and most patients could not eat Ampalaya as a vegetable dish every day and some could not take Ampalaya at all because of its bitter taste. In January 2000, Herbcare launched its first FDA-registered “herbal that works”– Charantia Ampalaya Food Supplements in three variants, Loose tea, Teabags and Capsules. Charantia is made from 100% mature but unripe fruits and seeds of Ampalaya that are dehydrated in a special process which retains its hypoglycemic properties while removing its bitter taste. “We then introduced Charantia to the public health doctor-members of the Association of Municipal Health Officers of the Philippnes (AMHOP). And they found Charantia the solution to their problem of how to make their diabetic patients take Ampalaya every day.” recalled Herbcare president Daniel Abelarde. 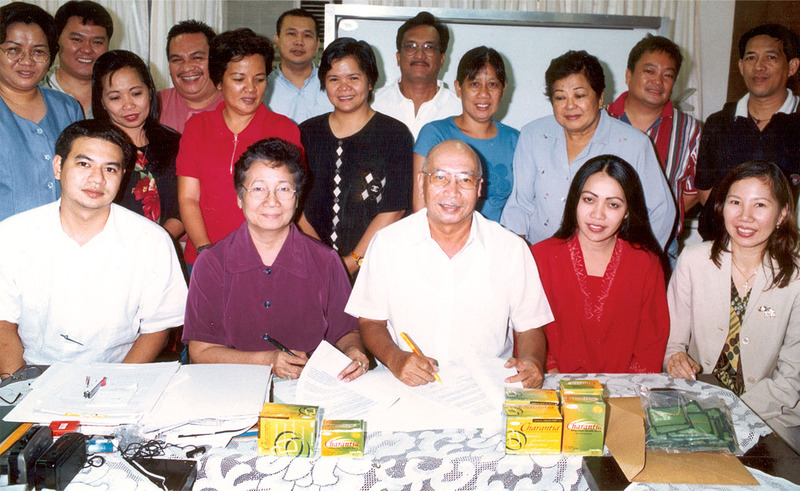 Barely two years after Charantia was launched, the Association of Municipal Health Officers of the Philippines (AMHOP), took the unprecedented move on October 2001 of officially endorsing Charantia as the Ampalaya Food Supplement for their diabetic patients. “Charantia Ampalaya Tea had been proven effective in lowering the blood sugar by the actual experience of our diabetic patients.” explained then president of AMHOP Dr. Guia Abad. The Prevalence of Diabetes in the Philippines is Alarming.